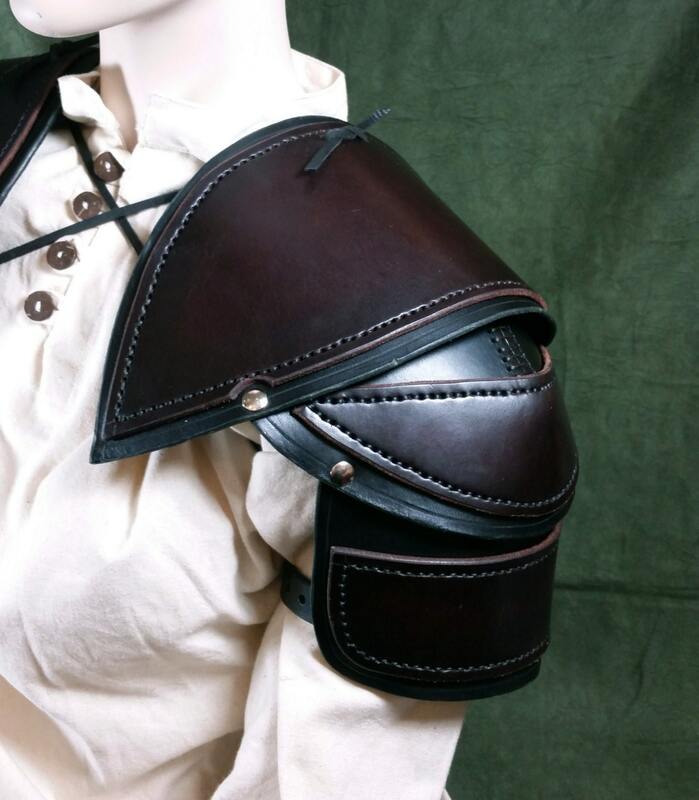 This listing is for a pair of leather Shoulder (Spaulder) armor. 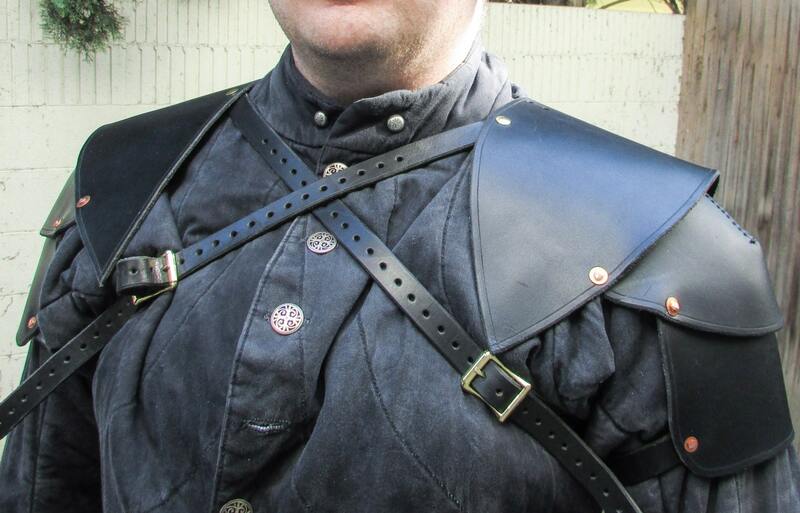 These are very similar to style 3, with a more angular top section. 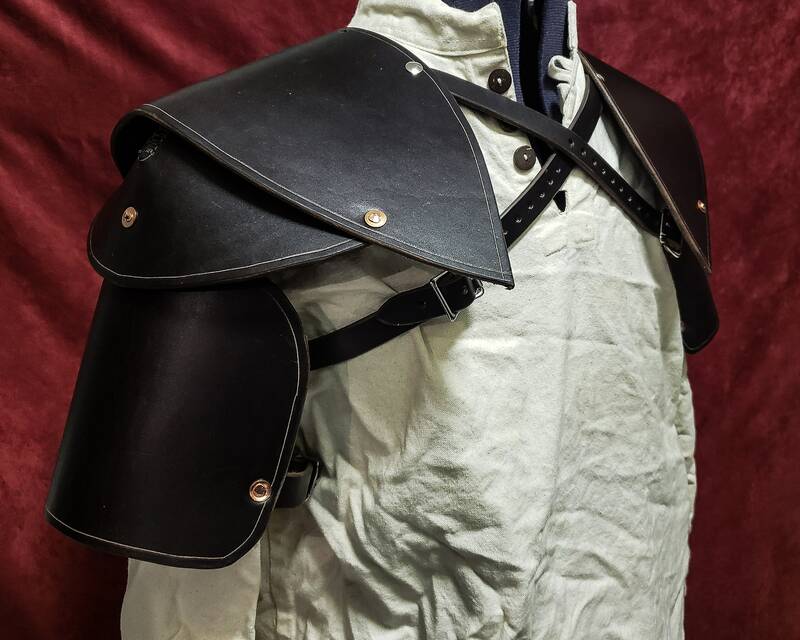 They do not offer as much coverage as the style 1 shoulder armor, but have more points of articulation, so allow a greater range of movement. 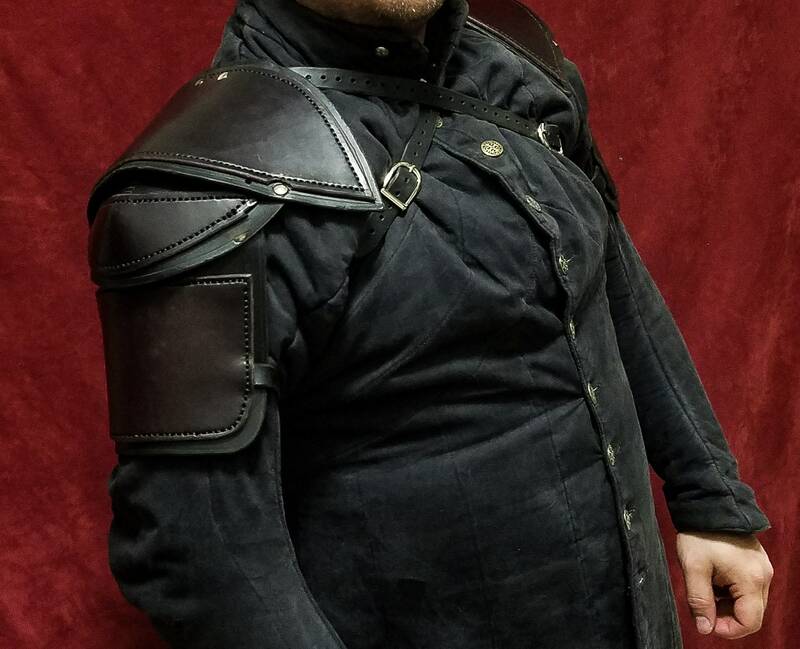 Armor looks great, easy to move around in as far as armor goes. Thanks!! They are great. 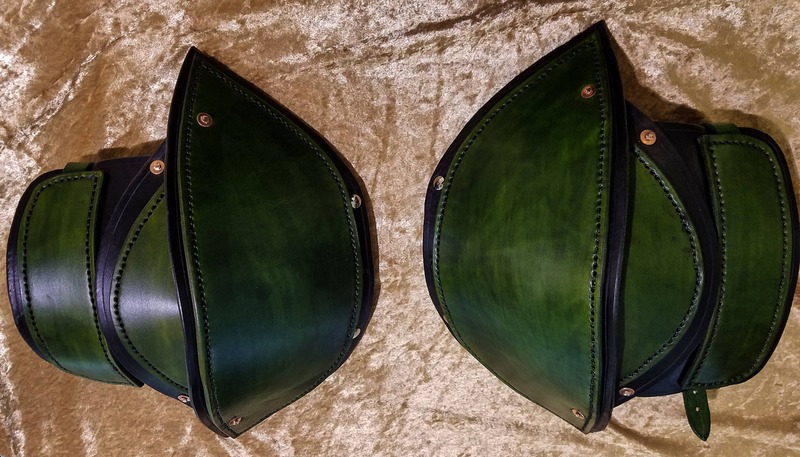 They craftsmanship is excellent and they are exactly what I imagined. Allen does good work. 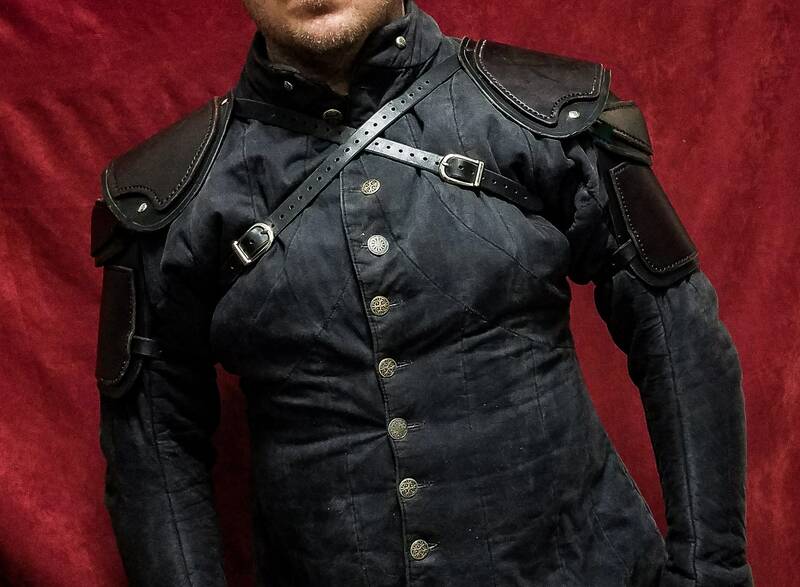 I opted for the waxed option as I wear these with gambeson and chain. Combined I am able to take a considerable hit and they wear fairly well. Recommend!